During my travels, I was interested in trying wine from different states to see what other places have to offer. 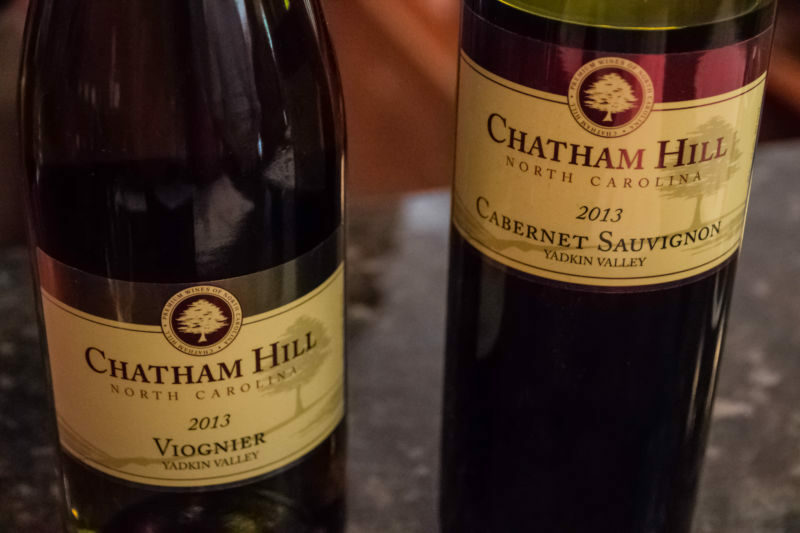 Whilst I was visiting North Carolina, I visited the town of Cary and the lovely little Urban Winery: Chatham Hill. 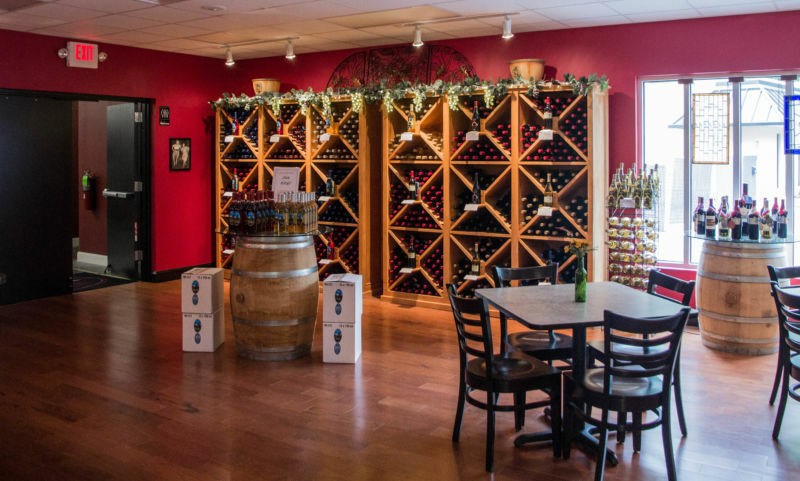 I am not sure what I was expecting, but I have to say that I was overwhelmed and surprised at the quality and the variety of wine this little winery produces. Grapes are difficult to grow in North Carolina, between the torrential rains, the pests, and the fact it doesn’t cool off in the evenings. Grapes need cool air to help them get the right balance of chemicals so they ripen and mature. They do commonly produce a grape in North Carolina called muscadine, but its a far tougher fruit and I am told that the wine is also tougher. I didn’t get to try any on this trip. Chatham Hill doesn’t make it. 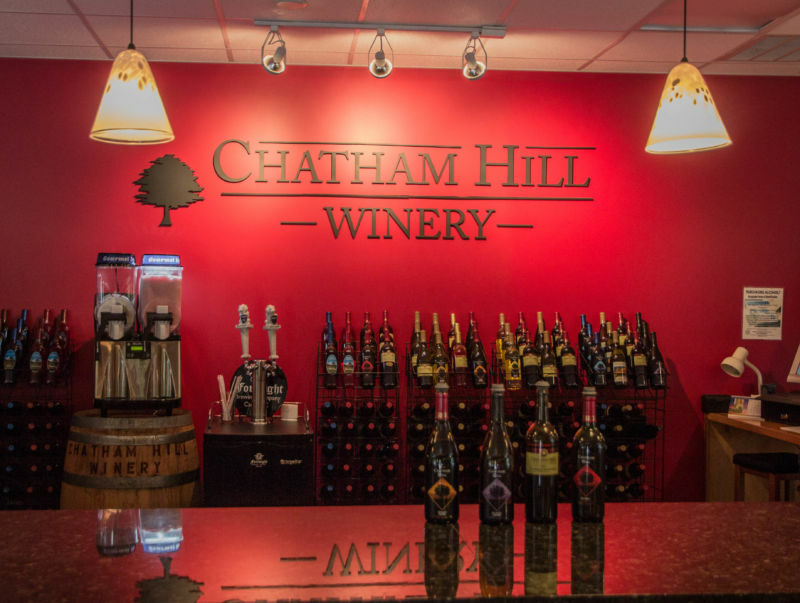 Although they do source a few of grapes from local farms, Chatham Hill buys most of their grapes and juice from Lodi, California. They then put their magic and spin onto the fruits and create wine from that. I met with the owner/winemaker, Marek Wojciechowski, while I was there; what a charming and interesting guy. 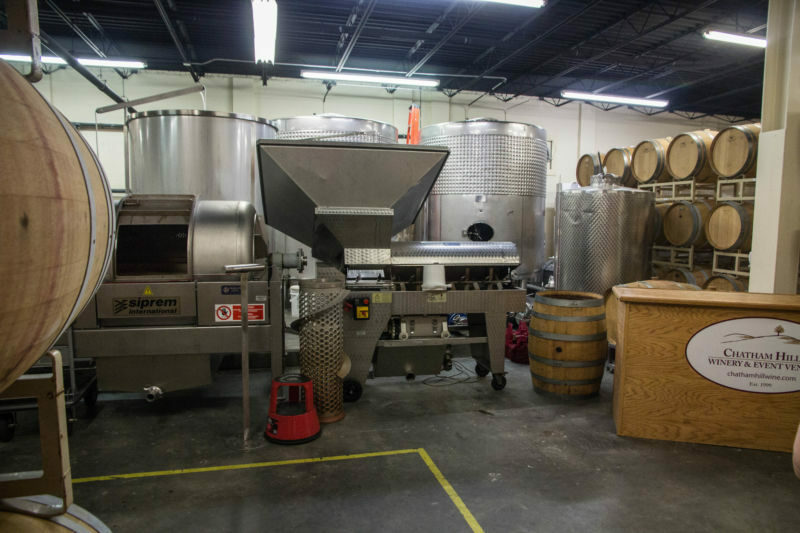 Formerly a science teacher, he used that background to understand the chemical process of fermentation and has turned that into making wine. He’s extremely proud of his wine and I have to agree; it was very palatable. Marek was passionate about his wine, and even more so educating us about the process. I loved that enthusiasm. One of the things that was unusual about this winery was that they make a collection of sweet infused Chardonnay with fruit. He labels this separately under the label of Sweet Carolina Wine. Unlike other states that make fruit wine, Marek starts out with a classic chardonnay and adds fruit juice to it, blending it into a light, sweet, summery drink with great fruit flavor. Apparently, many people in North Carolina like sweet wines and this was his solution for them. To me, it tasted like a very sweet, non-fizzy wine cooler as used people would drink in the 80’s. That’s ok, I was known to enjoy the occasional bottle of that before I started really drinking wine. Now it is too sweet for what I enjoy, but that is the beauty of wine, there is something for everyone. I was extremely impressed with the smooth, rich flavors that were achieved with all of the wines. The 2013 Viognier was my favorite of the whites. Complex floral notes in the nose were followed by apple and citrus. The bottle I purchased, however, was the 2013 Syrah; what a great, easy sip. I would put that little beauty up to many wines in Napa. Soft, supple, and rich flavors made a medium body with lots of fruits like blackberry and cherry on the palate. I really enjoyed this glass. At $22 per bottle, I thought it was good value for the quality. 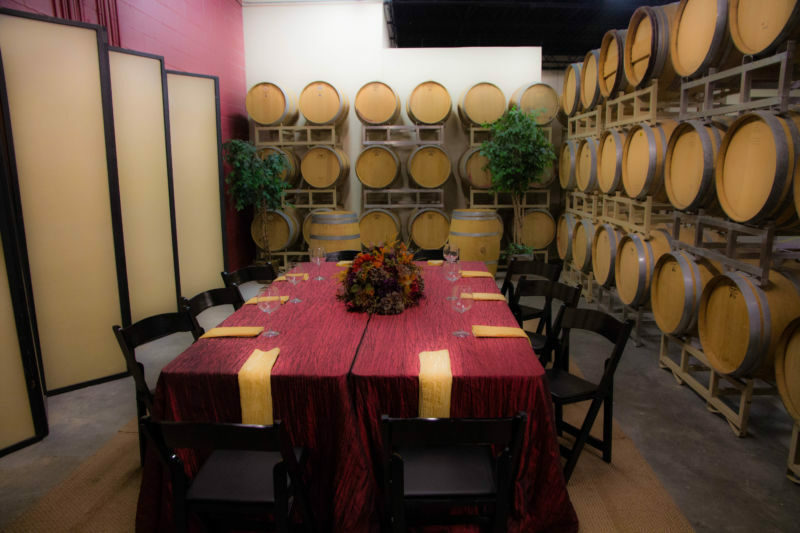 Like their counterparts in Napa, this urban winery boasts a thriving membership and offers events. They often do concerts at the weekend and throw lots of parties for both their members and the public. Membership is free; you commit to purchasing three bottles of wine per quarter. You get a 15% discount on what you purchase. I looked at their current schedule line up and there is something every single weekend to enjoy. All in all, visiting Chatham Hill was a great experience. It was wonderful to see people making good wine in other parts of our beautiful country. I hope you will stop in and give them a try when you are in North Carolina.